Powell works to provide a group of accesories for our metal-clad switchgear products that will allow the user and operator to perform the needed monitoring and maintenance functions required for optimum performance. Due to upgrades and feature modifications over time, some accessory devices are version specific. Please contact us directly should you have questions about the specfics of your installed equipment and which accessory is appropriate for your application. Ground and Test Devices are used to ground the upper or lower stabs in a circuit breaker cell. This process grounds all three phases and is normally used during initial installation and during normal maintenance procedures. When inserted in a circuit breaker cell and closed it solidly grounds the equipment for safety or other tests on connected cables. G&T Devices are available either as a manually operated or electrically operated device. 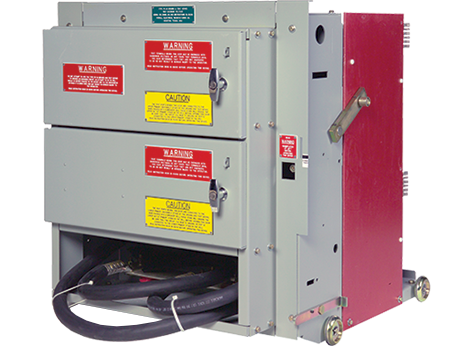 The electrically operated version allows the operator to be removed from close proximity of the switchgear when grounding occurs and is the safest approach. As with all products manufactured at Powell, safety is the driving factor. Powell has designed this accessory to minimize the danger to the operating personnel while racking a circuit breaker in and out of the switchgear. 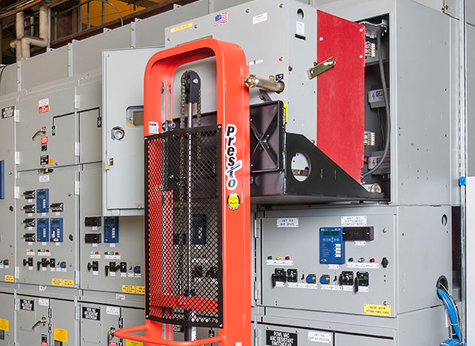 Our family of remote racking devices allow the plant personnel to be up to 25 feet away from the “arc hazard” during the dangerous periods of circuit breaker movement. 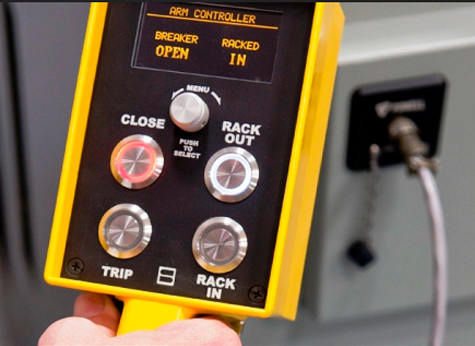 Statistics indicate that the manual racking of a circuit breaker on and off a live bus carries one of the greatest safety risks for operations personnel. At Powell, our primary goal is to continue the development of safety-centered products for the protection of personnel and assets. The OnBoard racking product epitomizes this goal. 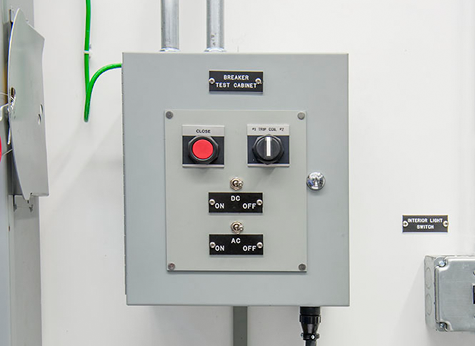 The test cabinet simulates control circuit for bench testing of circuit breakers when removed from the switchgear assembly. Includes umbilical cord 6’ in length. A test coupler extension is available to lengthen switchgear cell umbilical cord an additional 6 feet outside of the cell for test purposes. 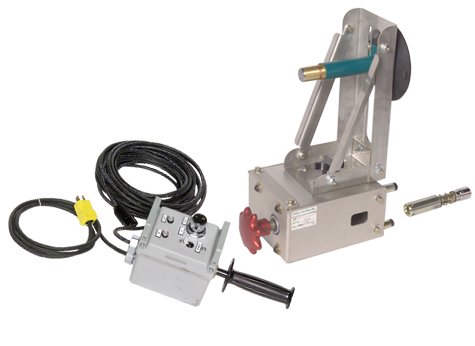 Transport and lifting device designed to aid in the removal of circuit breakers and roll-out assemblies from the upper compartment in two-high construction switchgear. Four variations are available depending upon the combination of products included in your project. Powell works to make sure that, when possible, accessories can serve a dual purpose. We recognize that items such as lift devices are a challenge to store. Part of our value proposition is to take care of small details and make your life easier.